Hi again, guys! I think I've promised you that I will make this post for the last Tuesday but then I got in bad mood. It was a lot of trouble lately like what I've said on the last post. This made me think.. I HATE HOLIDAYS, when I didn't go anywhere and just doing the same things or even working! Okay, I'm happy a little bit because I earned some money when everybody was going for holidays. But as a normal human, I also need holidays...!! :(( Here, the last Monday, my boyfriend and I went to visit Head On Cafe. 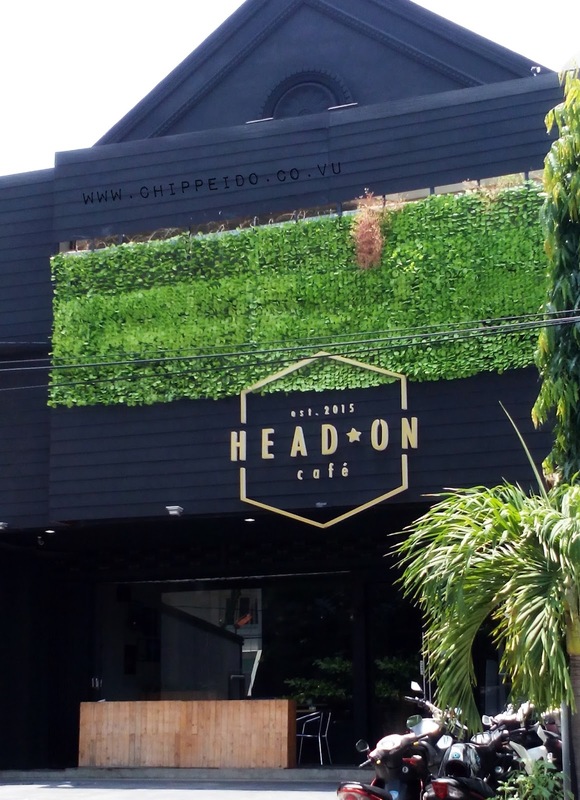 One cafe located in West Surabaya. It was rainy day lately and SURE! It was raining the time after we went out from the cafe, and drove home. He has already said that it could be raining in the afternoon but I said I wanna go there and he just accompany me there and, and, and... it's really going to be rain.. *sorry, darling :')*. So there, considering I'm not feeling very well, I also got sick the last day before we went there.. so we only order two iced teas and one large plate of Margarita Pizza. Here I'll share some picture inside the cafe, enjoy! They have such a great building decoration outside. But the bad thing about their place was they have a little parking lot. Maybe only can be fill by 6 medium cars and less than 10 motorcycle. Look at the atmosphere above. 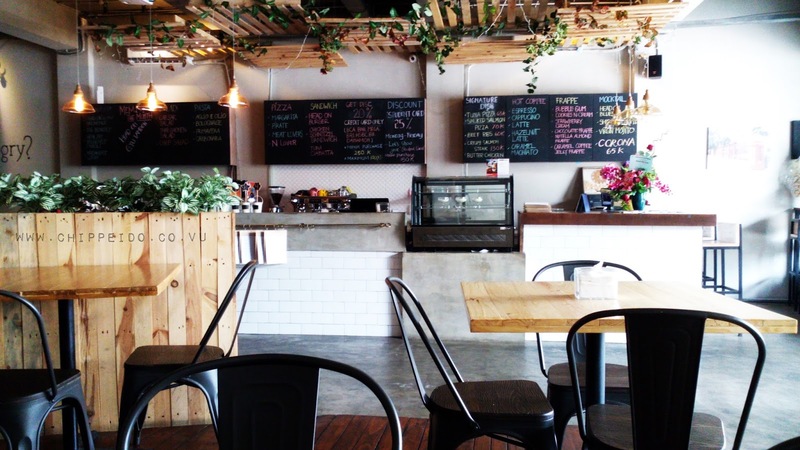 So wonderful and cozy enough to be your choice when you're about going to have any meeting with your besties or for just have a date there. This place has some flower decorations which make this place feels so romantic. Here is my selfie picture, actually I have some other selfies but this one was my best lol. I think this is my first time I show you our selfy picture but for our own privacy, I sensored my bae face *sorry* hihi. 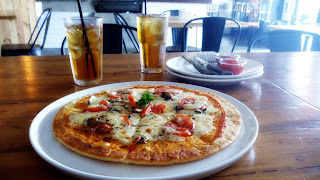 I'm drooling because of the cheese.. and the place looks nice! Sure, me too <3 I always love eating food with a lot mozzarella like that. It's looks like.. OMG it's melted! !